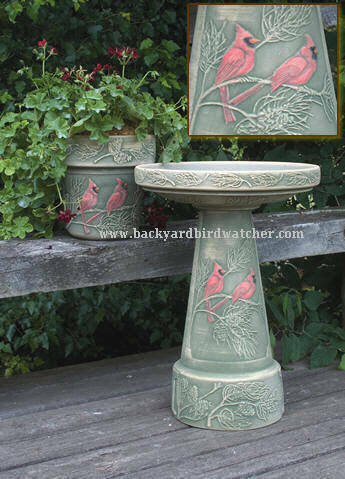 These hand-painted Wild Wings Series bird baths and planters are now an artist signed and dated collector series. And because each artist showcases a unique style, every hand-painted piece is a true original. Each birdbath and planter celebrates one of the garden's fine feathered residents, depicting then and their native habitats in rich and detailed color. * Boxed for safe shipping. for hundreds of nature inspired earrings including Wildbryde Jewelry and Zarah Jewelry designs.